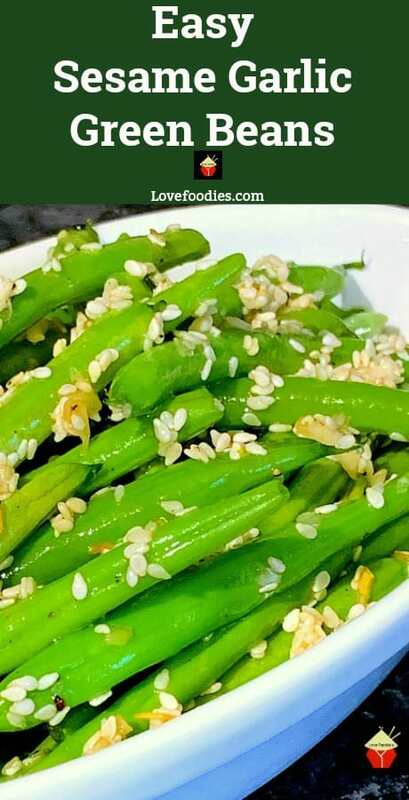 Easy Sesame Garlic Green Beans, a quick and simple side dish, ready in under 10 minutes. 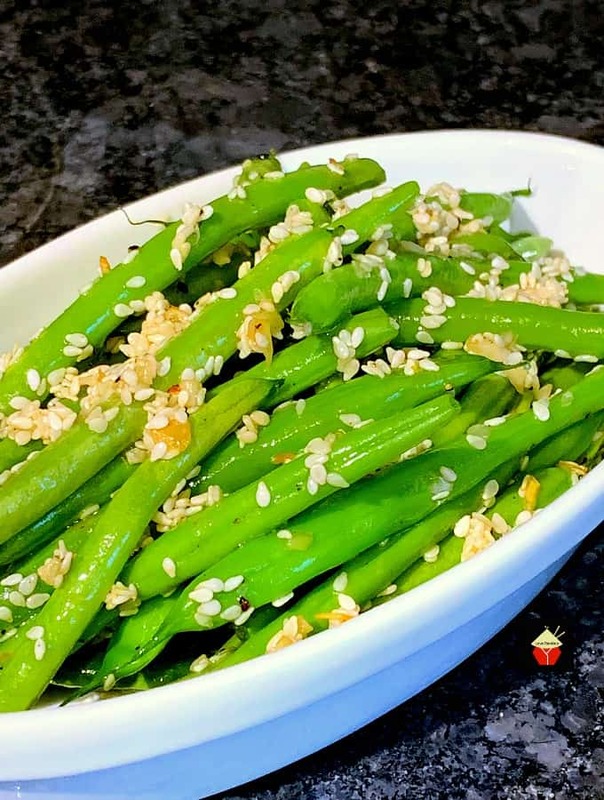 Easy Sesame Garlic Green Beans. 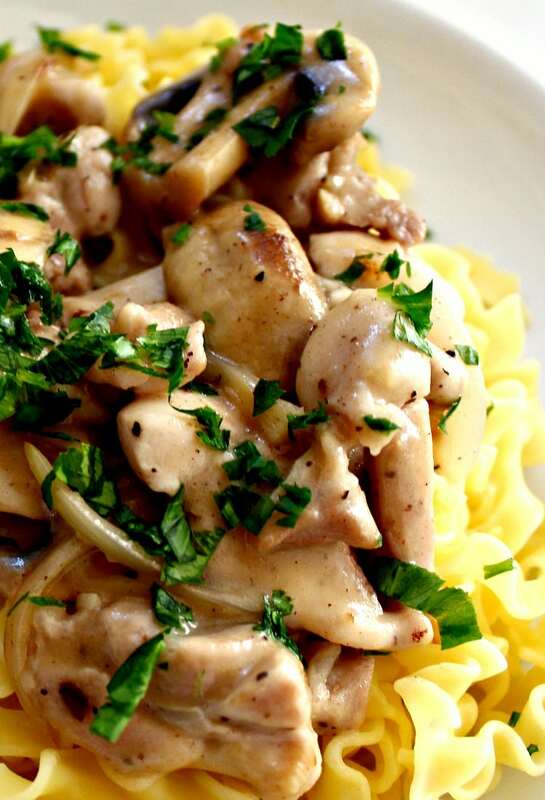 This is such a quick and simple recipe, and so flexible too! 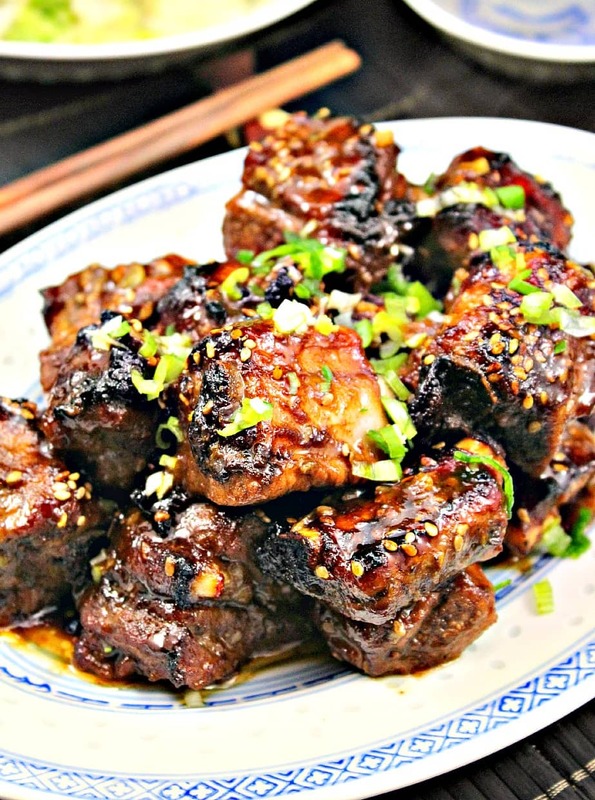 I love to cook Asian dishes, and often, I’ll make up a quick Asian side dish to go with a Western dinner, simply because many Asian side dishes are quick and simple to make. 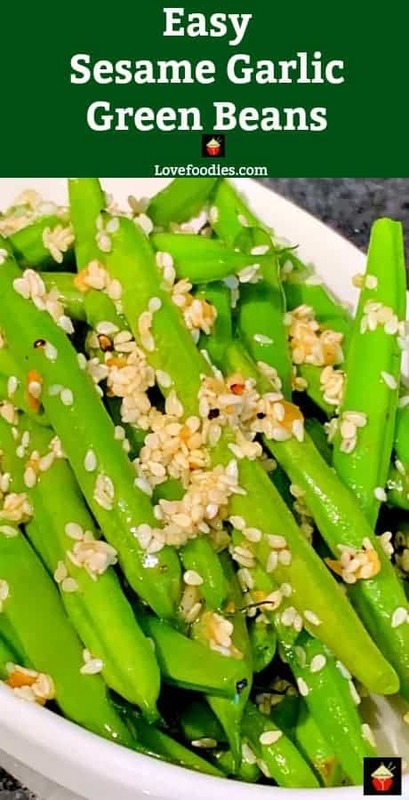 For this recipe of Sesame Garlic Green Beans, it takes a matter of minutes to prepare and cook, so you should have no trouble to have this ready within 10 minutes. 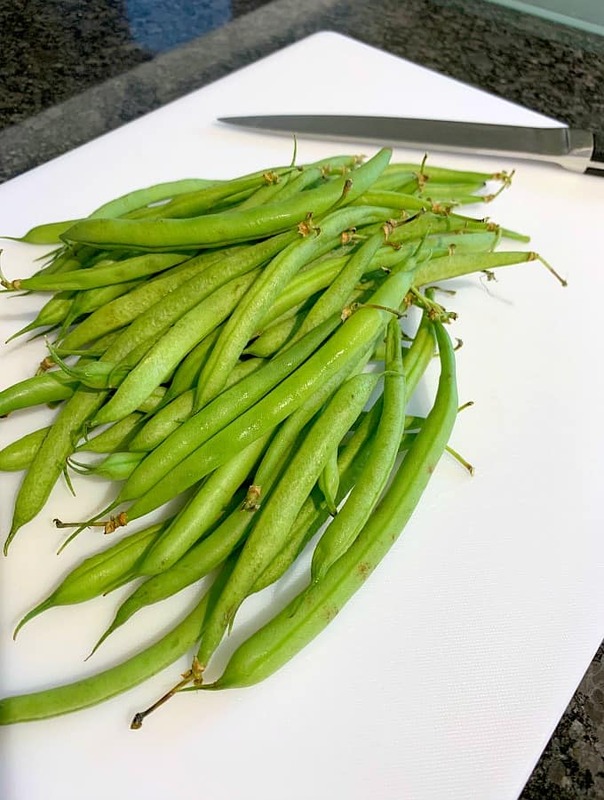 Even faster if you buy beans which have already been trimmed and cut, although they are more expensive if you really want to save on a minute or two, buy the green beans which have been prepared for cooking already! 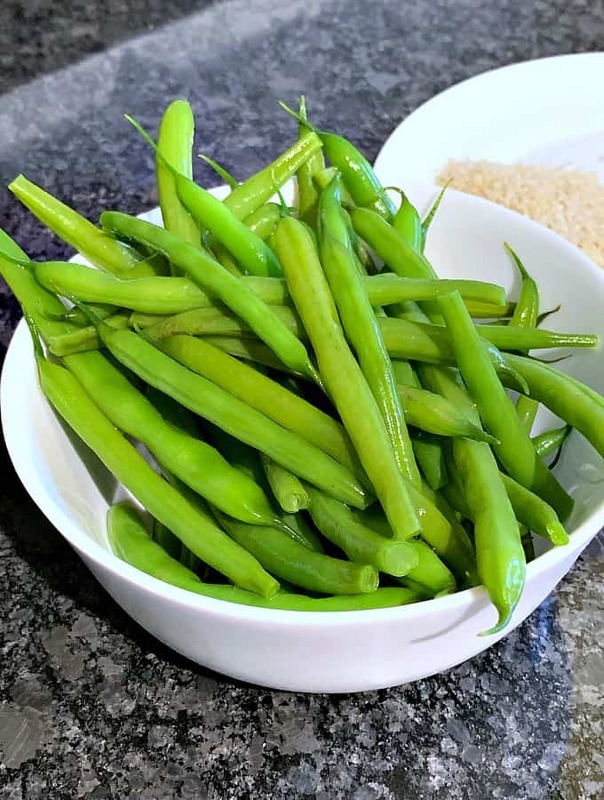 You can also use frozen beans if you have some handy in your freezer. 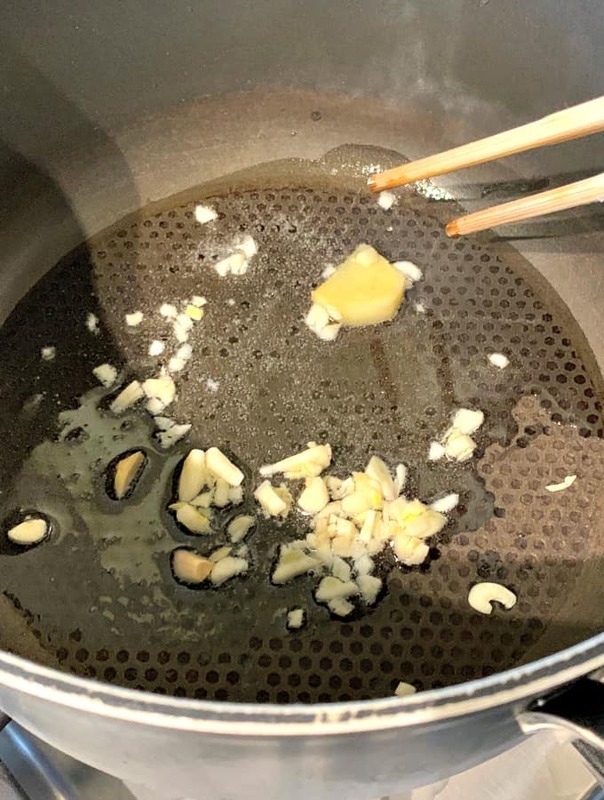 You will find that there will be some water coming out when you cook them, as you would cook from frozen, however, the heat of the pan should evaporate any excess water so don’t worry about that! This is a very flexible recipe. 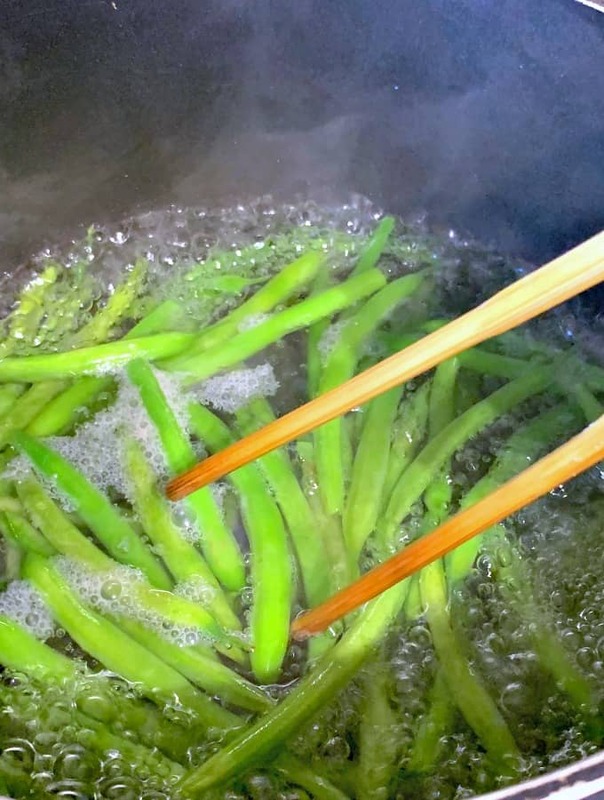 For example, you could swap the green beans for whatever is in season, perhaps asparagus, mange tout, carrots sliced finely, sliced mushrooms, shredded brussels sprouts (that is delicious too! ), or a variety of vegetables, such as a mix of broccoli and shredded cabbage. 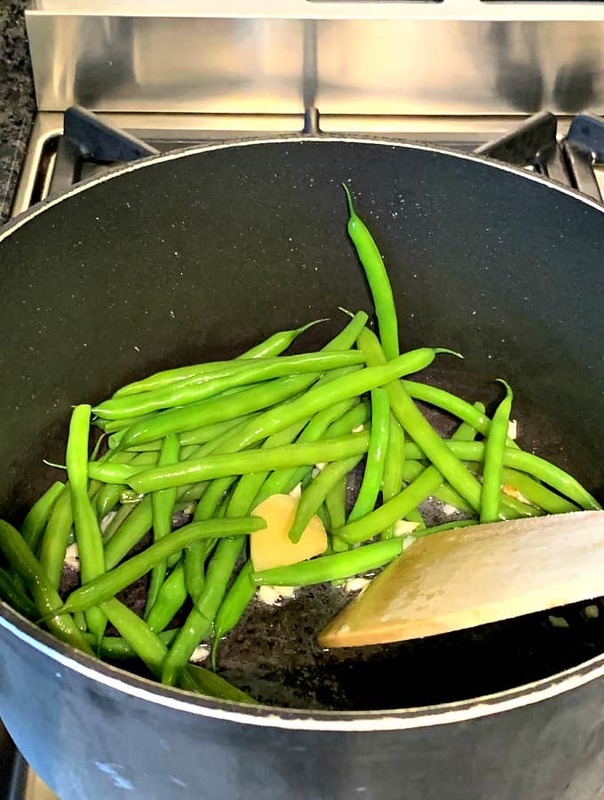 Just be sure, if you’re using any vegetable which is a little firm, you will need to blanch first to pre-cook otherwise they will burn in the pan and still be raw on the inside. 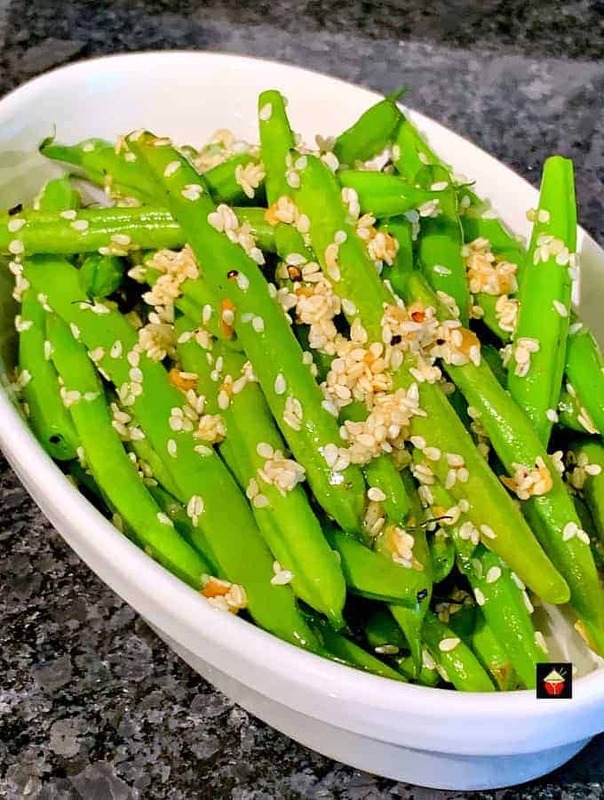 You can serve these sesame garlic green beans hot with some lovely steamed rice alongside our Chinese Garlic Shrimp, or Best Ever Pork Roast, or perhaps a Chinese dish of Cantonese Sweet and Sour Chicken. 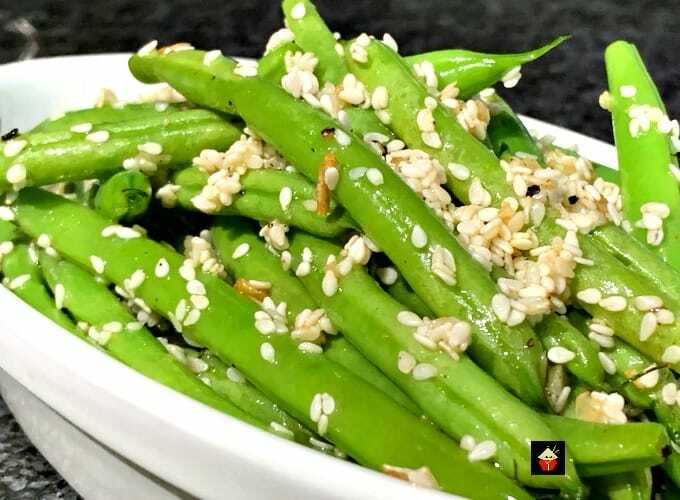 Really, the sky’s the limit with what you could eat with these sesame garlic green beans. 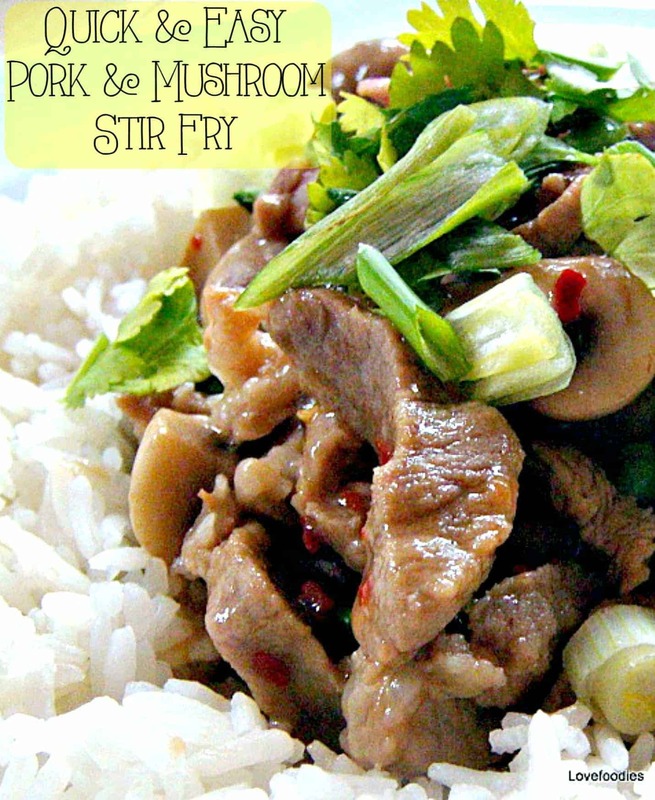 You could even add them to a fried rice or noodles recipe! 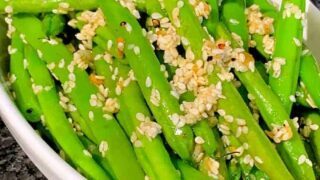 So let’s get straight to the recipe and see how easy it is to make these Sesame and Garlic Green Beans. Please enjoy! 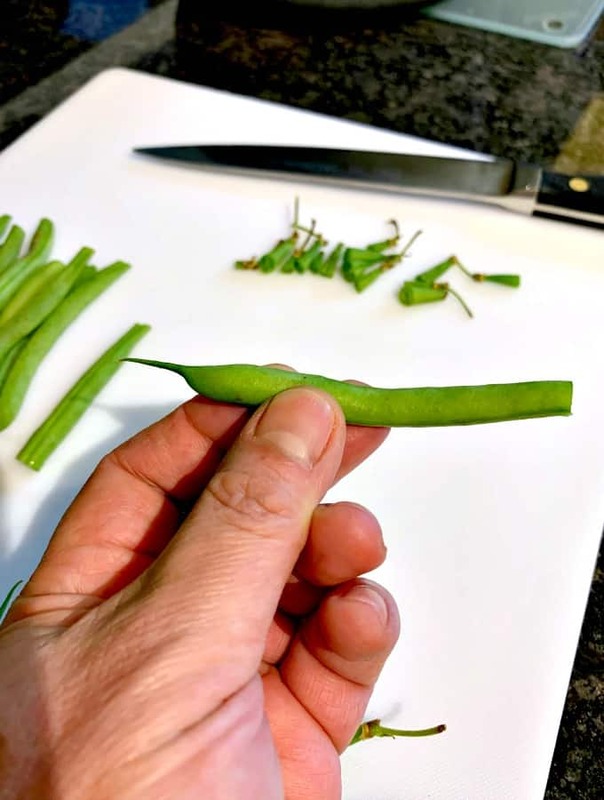 The photo below is just to show those of you who aren’t sure, the bean at one end has the stalk or ‘top’, and the other end is what is commonly known as the ‘tail’. So when you hear the expression to ‘top and tail’, it means you cut the tips at both ends. 2. Blanch the beans in boiling water for 3 minutes then drain and put in a bowl of cold water to keep the color. Set aside. 3. 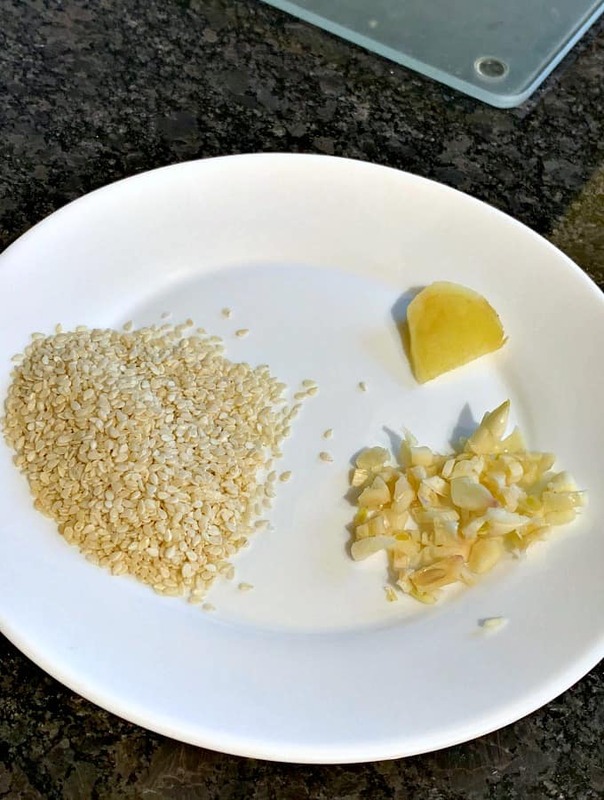 Peel and slice the ginger, roughly chop the garlic. 4. Heat oil in the pan on medium heat, and add the garlic and ginger. Stir for 30 seconds then add the green beans. Stir so the garlic is coating the beans. Pop the lid on the pan and leave for 4 minutes. TIP: If the pan is too hot, add a tablespoon of water to the beans to allow them to steam and not burn. 5. Add the sesame seeds and stir. 6. Test a bean to see if it is cooked to your liking. Some prefer a crunch and some people prefer softer. 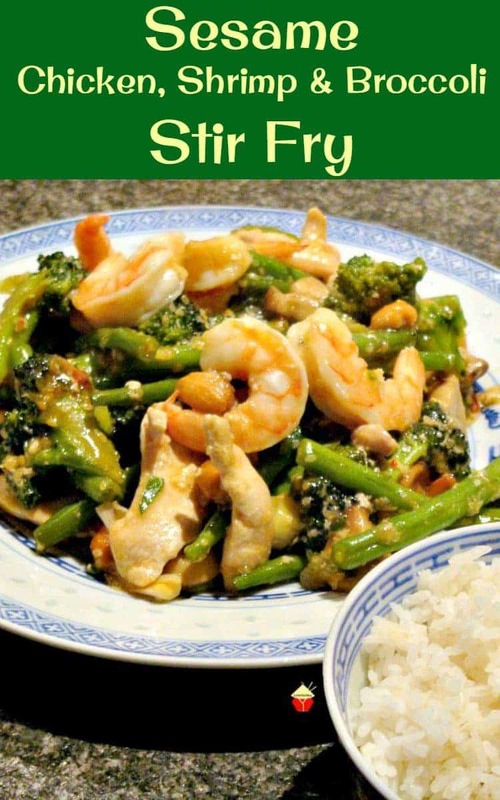 When the beans are cooked, discard the slice of ginger and serve! 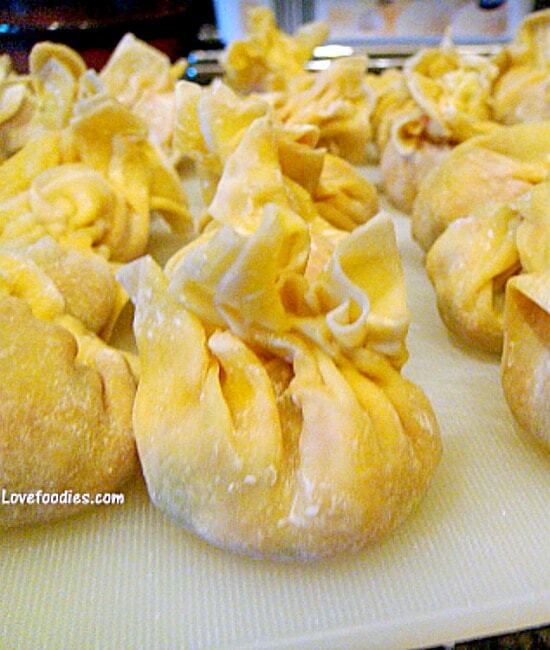 You can serve these hot or allow to cool and serve with a salad. Both ways are delicious! 4. Heat oil in the pan on medium heat, and add the garlic and ginger. Stir for 30 seconds then add the green beans. Stir so the garlic is coating the beans. Pop the lid on the pan and leave for 4 minutes.